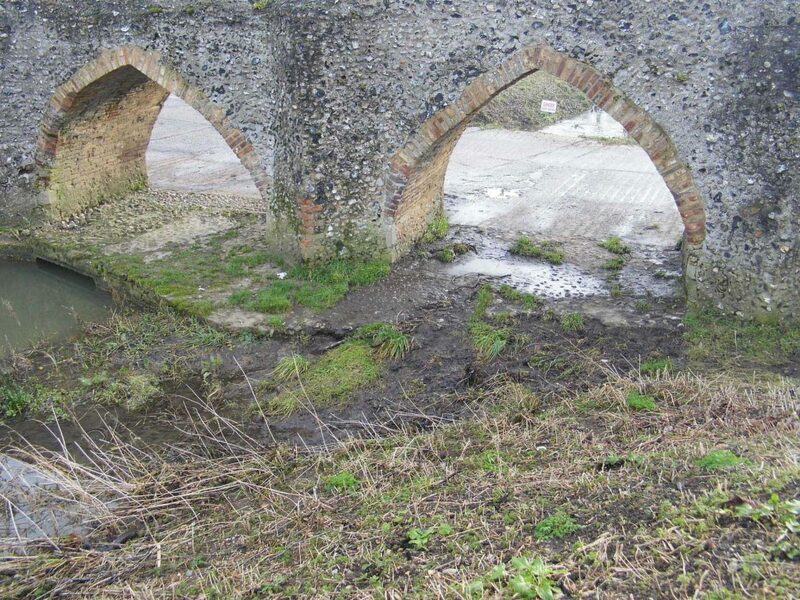 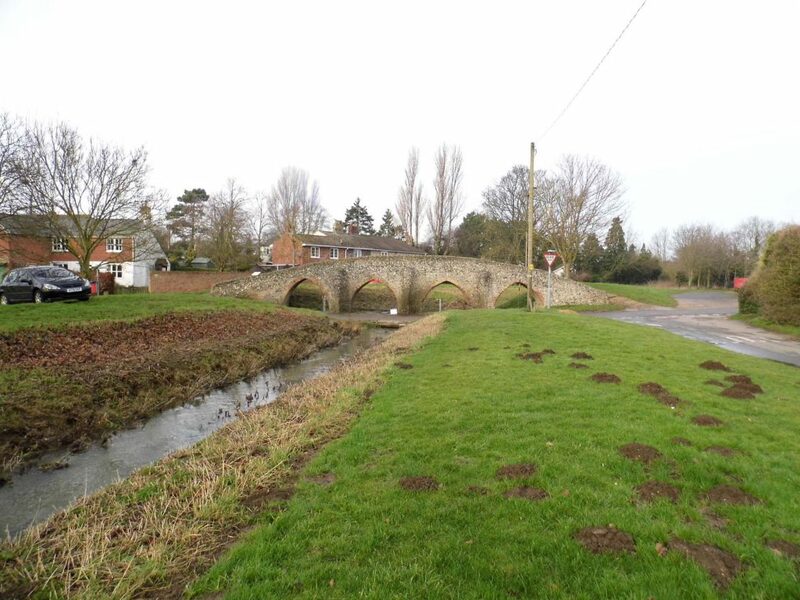 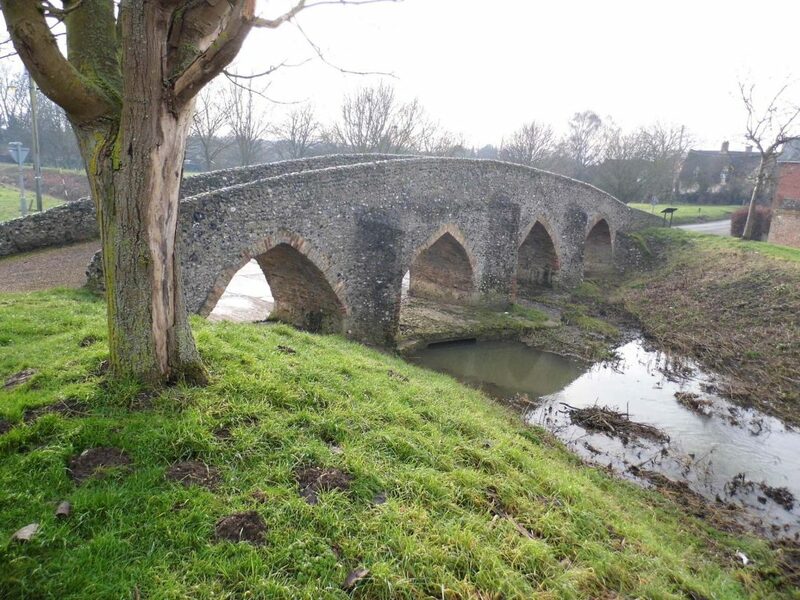 The smallest structure on my English Heritage survey list was this 15th-century packhorse bridge across the River Kennett. 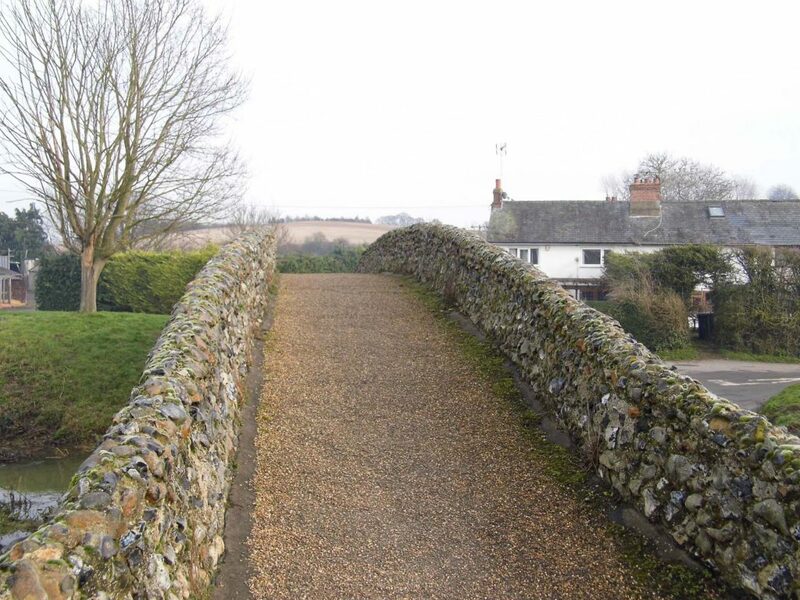 The bridge is built of flint and rubble, faced with brick. 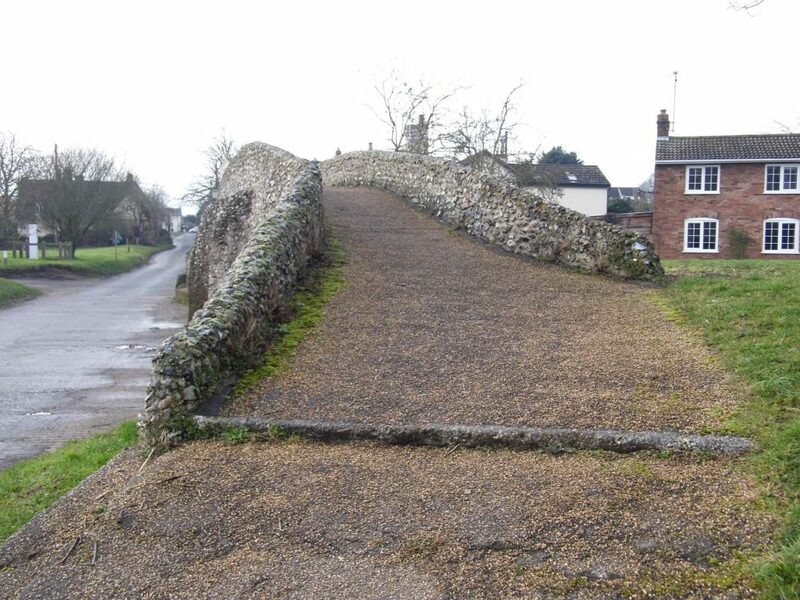 It stands on the old main route from Cambridge to Bury St Edmunds. 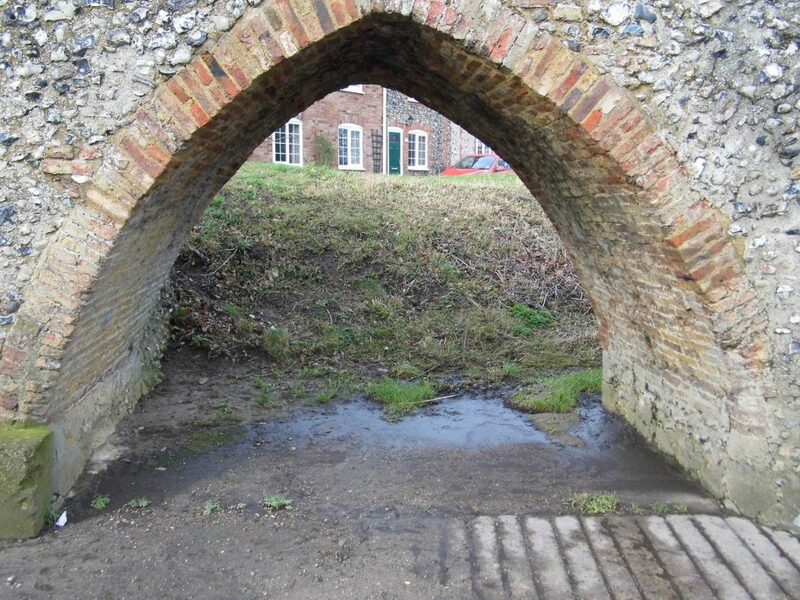 Photos from my survey records.